These NC companies are providing modular homes and buildings to Charlotte, Raleigh, Greensboro, Durham, Winston-Salem, Fayetteville, Cary, High Point, Wilmington, Asheville and all other places in North Carolina. For the most accurate pricing and home floorplan information please contact these North Carolina modular home dealers directly. They can personalize the information based on your own unique building situation. You can click here to see a general sample of North Carolina modular prices. Please remember that each home project is unique and has its own needs based on your home design, timeframe and location. These modular house companies can create a custom home floor plan for your land. They have a wide selection of prefab home floor designs that can be built for you to browse. Their trained designers will then customize these floor plans to make it your own custom dream home plan to maximize the view and features of your home. You can choose from a wide variety of features and options to turn this prefab house into your ultimate home built just for your land. Visit here to see a sample of quality home floor plans that can be customized for your ultimate dream home. For the most accurate price you should email a modular home company so they can factor in your design, land, and area regulations to give you an accurate estimate for how much it will cost for your new home to be built and how much time for it to be manufactured. North Carolina (NC) Property Tax Notes : All property is subject to taxation and is assessed based on 100% of appraised value. Taxes are collected by cities and counties. . Looking for more than North Carolina Modular Home Companies? We strive to provide the best resource in your search for North Carolina state manufactured and modular homes. If there is a North Carolina modular home builder not included in this directory please let us know. Our editors will be happy to research and include them. 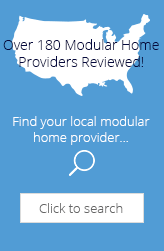 Modular Today is an independent reviewer of North Carolina modular homes and buildings. All logos, trademarks and brand names that appear on ModularToday.com are the exclusive property of their respective owners and are not property of Modular Today. Our modular homes information is free and unbiased.